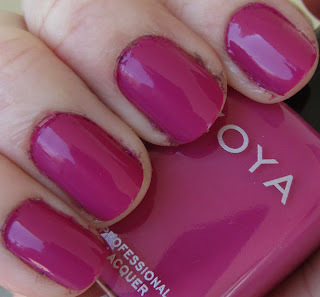 Here is another one of the fabulous new collections from Zoya for Summer 2011! This is the Summertime collection, full of deliciously smooth cremes. 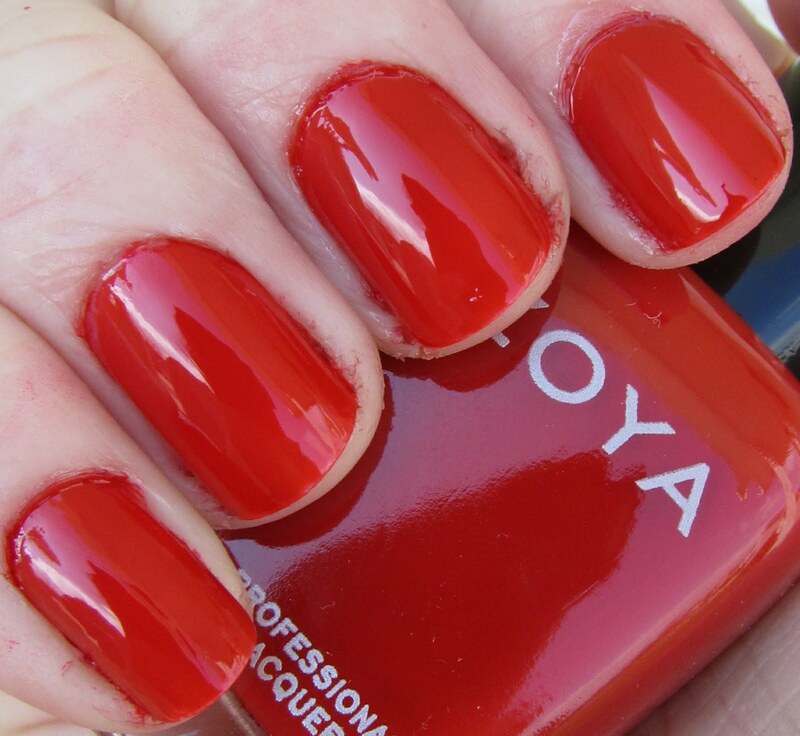 Zoya cremes might be my favorite cremes - they have amazing application and are always so pretty! Application on all of these was two coats for full coverage. Pictures are shown with top coat, no base coat. A cherry creme. Great for a stand-out, get noticed sort of red! A brick red creme. This one has a lot more orange in it than Sooki, and is much brighter. Medium pink creme. This is probably my second favorite of the collection. Not super bright and in your face, but not too cool either, I find this to be the perfect medium pink color. A reddish purple creme. It is a little bit berry and a little bit purple... somewhere right in the middle there! A cool, blue-toned purple. This color reminds me of a few other colors sitting around - comparisons to come! However it is still a really gorgeous cool purple. Dusty cerulean blue creme. My absolute favorite of the collection! This is such a gorgeous color and I think that the muted duskiness of it makes it very unique (at least compared to anything I own). I am in love with this one. As mentioned before, I love Zoya cremes. 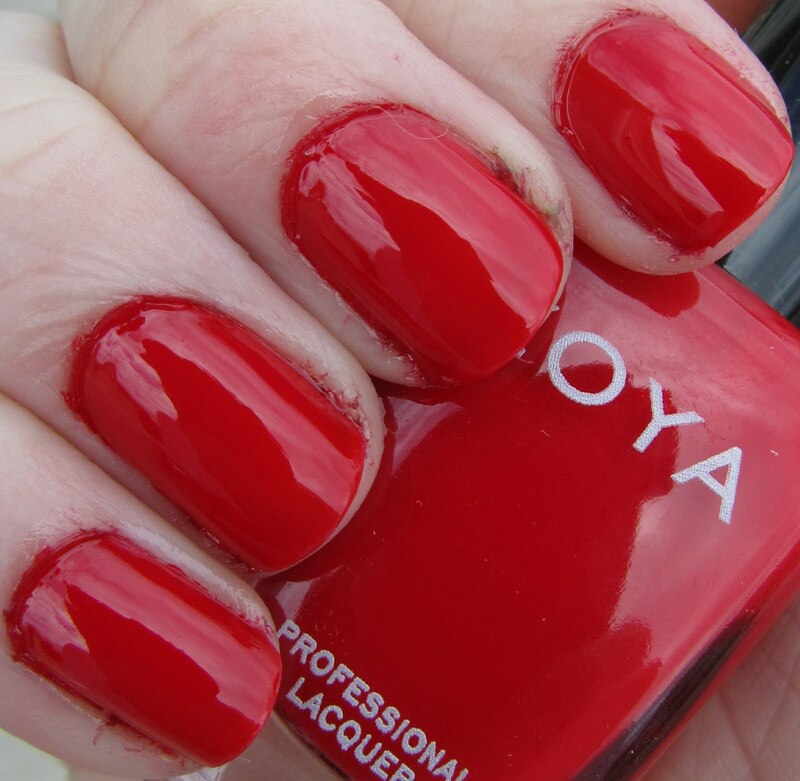 They go on very smooth and easy, and only take two coats to achieve opacity. This collection has a lot of really fun summer colors in it - a couple probably have dupes out there somewhere, but a few of them are also very unique. 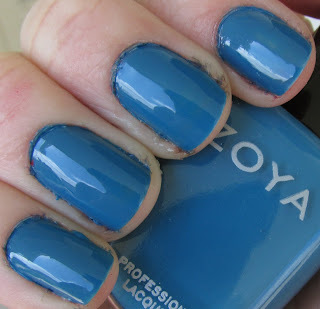 Overall a very nice collection from Zoya! What do you all think - which is your favorite? Check back in a couple of days for the final Zoya Summer 2011 collection, Sunshine! My favorite is also Breezi. And second favorite is Mira. These are such great colors all in all for summer though! i like Mira a lot!